Support for environmental protection through land use regulation can be peculiar. On the national stage, the fervor over placing any type of regulation on how one can use his or her land is largely divided on strict political lines. However, once you get down to state and local levels, the lines become much more nebulous and strange alliances appear. Two people who may never agree on any policy or political issue, suddenly find themselves voicing similar thoughts. The environmentalist or generally liberal-minded individual and the hunter/outdoorsman or generally conservative-minded individual both find themselves advocating for greater environmental regulations. The motivations may be different, but the desired results are the same. This alliance, though, leaves out the group of individuals who don’t necessarily share the desired result. Sure, they would like to have a clean and functioning natural environment, but fiscal issues are more important. Enter the conservation easement. The beauty of this tool is that it attempts to bridge the gap in support for environmental protection . While the natural environment has an immense economic value (wetlands and forests save us trillions of dollars by naturally filtering water and preventing erosion among many, many other things) environmental regulations are often a difficult sell when many individuals see no immediate financial benefit. By offering individual financial incentives and keeping government out of the regulation of land, suddenly environmental protections become much more appealing to a much larger group of individuals. An easement generally is any right someone has to use another’s land in a specific way. Perhaps the most common easement is the utility easement, where a power company or cable or internet company gains access to portions of private lands for the purpose of laying wires. Easement can also be in the form of sidewalks or driveways or walking paths or rail lines. The right not only gives the grantee the right to use the land, but restricts the manner in which the grantor can use the land subject to the easement. Easements can be voluntary or mandatory; two individuals can agree to an arrangement or one individual can acquire the right to use another’s land based on necessity (several other scenarios also exist). A conservation easement is simply a voluntary agreement between a land owner and an entity to restrict the use of land for conservation purposes. The grantee is almost always a private, non-profit land trust or public entity and the grantor can be anyone from a landowner in Buckhead to a rancher in Valdosta. The key requirements are that the easement be created pursuant to specific conservation purposes, the landowner is prohibited from doing certain things to the land subject to the easement, and that the prohibitions are permanent. So even if the land is sold or gifted, the easement and prohibitions apply to all future owners. Why would anyone choose to place permanent development restrictions on some or all of their land? They could simply love nature and want a means of preserving it for future generations or they could be enticed by the substantial tax incentives at both the federal and state levels. A restriction on development severely reduces the value of land. In many cases the reduction in value could be greater than 50 percent, meaning the owner is now paying much less in property taxes. Of course this is up to the appraiser to take this into account (but federal law does require the easement to be taken into account). But beyond that, the state and federal governments have jumped in to offer even more tax incentives. At the federal level, a landowner can claim a federal tax deduction for the value of the donated easement (the difference between the value of the land before and after the easement). The deduction can be up to 30% of the landowners adjusted gross income, but it can be spread out over 6 years to allow the landowner to fully realize the value of the easement. Back in 2006 Congress passed an Enhanced Easement Incentive Act, which allowed landowners to deduct up to 50% of their income and increased the spread from 6 to 16 years. Farmers were able to deduct up to 100% of their income tax! Unfortunately, the program ended in 2013 and Congress has yet to pass a bill making the program permanent. It’s really a matter of will, though, and not desire. The program has vast bi-partisan support as the House voted by a super-majority back in February to make the program permanent. Similar tax deductions exist at the state level too. Georgia actually has one of the most lucrative credit programs, as any credit that a taxpayer is unable to use due to not paying enough taxes can be sold to another taxpayer resulting in an immediate cash profit for the landowner. More complicated estate tax incentives also exist. Conservation easements have quietly gained momentum in Georgia and throughout the country. Over 250,000 acres of land are protected in Alabama and Georgia through conservation easements with most of the land being managed by the Georgia-Alabama Land Trust. The number of land trusts holding conservation easements nationally grew 32 percent between 2000 and 2011 to 1,667. 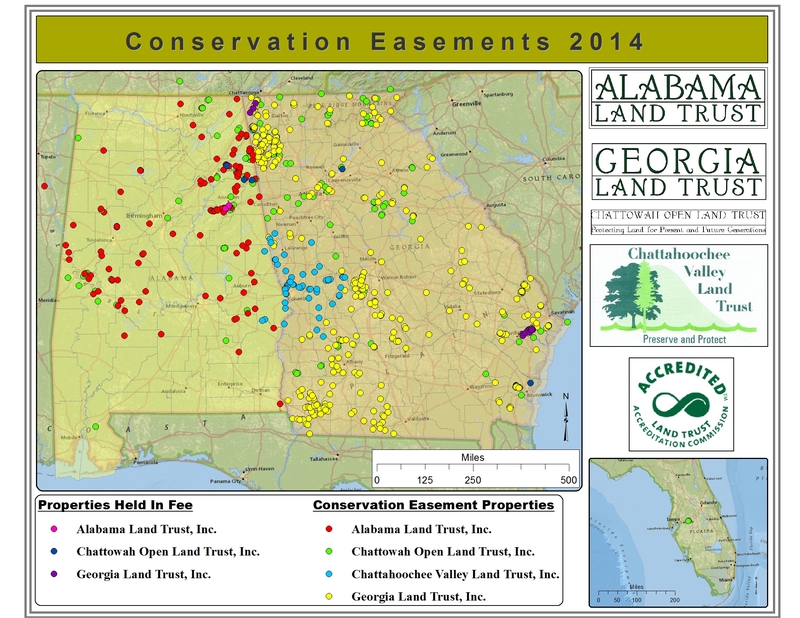 Calculating the number of conservation easements nationally is a difficult task as there isn’t an official means for gathering that data, but we do know that the Georgia-Alabama Land Trust added over 18,000 acres of land just this year. The drawback of conservation easements, from an environmental perspective, is that they offer little coordination in regulating resources. They are a great way for private individuals to act, but do little to address the large-scale destruction of valuable natural resources. After all, a few individuals or corporations can gain much more immediate financial benefit from destroying the environment than they can from a few tax credits. Unlike conservation easements, coordinated regulations can attempt to maximize both development and the protection of natural resources. There also exists potential problems at the neighborhood level. While it may seem unlikely that a landowner would disagree with a neighbor’s conservation easement, the conservation easement still affects the landowner. There doesn’t appear to be much data on this, but the preservation of open space by the neighbor could result in the landowner’s property being assessed at a higher value, which may be undesirable. Externalities such as this have been the impetus for zoning and land use controls, among many other types of regulations. Since a conservation easement lasts in perpetutity, a single landowner has the potential to have a dramatic impact on the future development of communities. In certain circumstances it may make more sense from an environmental planning perspective to find a conservation easement in an urban area undesirable. Maximizing development in that area while preserving land elsewhere may actually be the best thing for the neighborhood and the environment. Governments would be forced to use eminent domain as a means of ending the conservation easement. Such a situation could be a political and public relations nightmare. Some states, such as Virginia and Michigan, have attempted to regulate the creation of conservation easements by mandating that such easements conform to local comprehensive plans. Other smaller localities across the country have also attempted to promote or guide the creation of conservation easements through zoning codes. 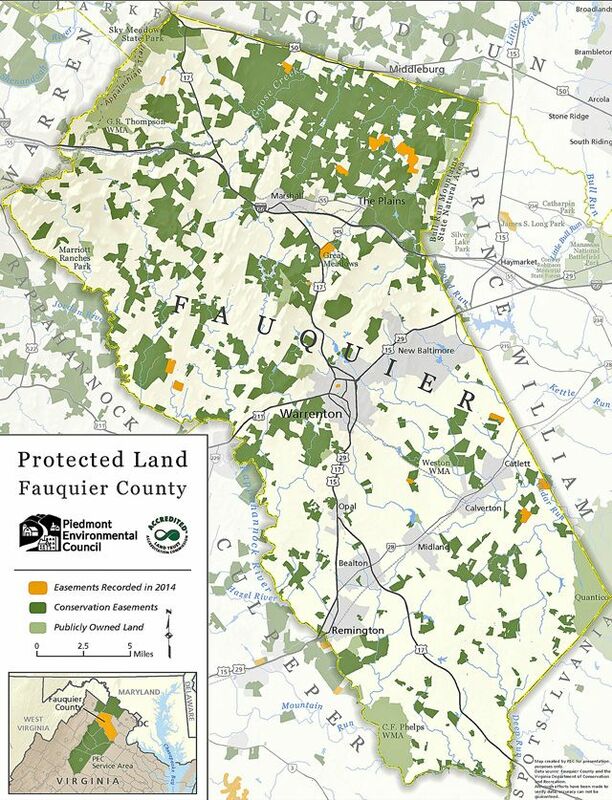 Efforts have and could include special overlay districts that encourage the creation of conservation easements in exchange for greater development rights in other areas. Another growing problem is how land trusts should address solar technology. As the proliferation of solar energy seems to be right around the corner (Georgians can now finance solar technology equipment!) this is becoming a major issue. Conservation easements written years ago don’t address the ability of the landowner to install solar equipment, so in many cases installing solar technology on protected lands is prohibited forever. This is an emerging issue and there should be debate as to whether putting solar technology on conserved land is fundamentally at odds with the point of conserving land. In many instance this could be a case-by-case issue based on what the conservation easement is designed to protect. Ultimately, conservation easements are a great tool for preserving important resources. Though zoning code changes will likely be needed in the future to offer some degree of guidance and thought, conservation easements do a great job of protecting individual pieces of land and vastly increase the pool of people who are interested in protecting the environment. You should reach out to our US Senators and your US Representative to make sure they know the importance and value of the conservation easement enhanced tax incentive program.